Friend and fellow picture book writer, Lindsay Weiss, sent me this picture yesterday. 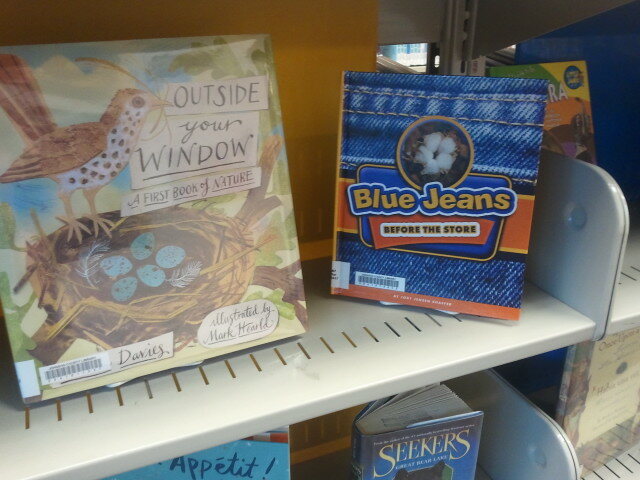 She and her kids discovered BLUE JEANS BEFORE THE STORE in the "New Books" section at her library (Blue Valley branch of the Johnson County Library system)! Thanks for letting me know, Lindsay!